Business is business and for business owners not to recognize the importance of taking care or their business is an unfortunate and sometimes very costly mistake. At Complete Alarms in Sydney, we’ve had our share of seeing business collapse or just uproot and go because of burglary activities. These are now the most destructive events that can befall people who own business and concerted effort is needed to combat them. 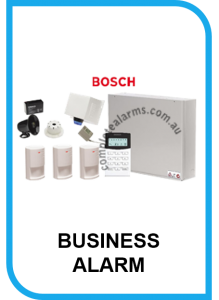 At Complete Alarms in Sydney we are very seriously committed to the safety and security of our customers. We apply strenuous efforts in our thinking and work skills in configuring, testing and installing our alarm systems. The alarm systems that we purchase from suppliers and put in place in your business premises are the best products on the market. It is extremely important that they are installed correctly otherwise they will malfunction and compromise the security of your wealth. Our professionals are top notch operators who are all skilled in every aspect of the security trade. Anyone who has spent considerable time, say over 10 years, in the security trade is bound to tell you that one very important skill you must have is the skill in configuring different types of security alarm systems. A camera on its own is not the correct solution simply because it’s not effective. Certain areas can be covered but no meaningful data can be extracted from it. Similarly, an alarm on its own is just as equally ineffective if it stands on its own and so would a monitor if it is not connected properly to a camera or cameras. Configuring the right type security system as the security solution for your business is our main concern and we are sufficiently well equipped to configure such an alarm system. We’ve had extensive experience in installing the perfect security solutions in and around Sydney and our exceedingly satisfied customers have showered us with praise of the excellent protection we have configured for the safety and security of their businesses. Not only do we provide different types of configured gadgets to provide the perfect solution for your business, we can also provide you with our back to base monitoring system that can allow you to relax locally or overseas while you premise is kept under watch 24/7 throughout the year. How safe can you get! There’s a world of safety and security waiting for you in Sydney and if you want to sample it, all you have to do is ring us now on 02 8006 1116 and we’ll offer you the best there is to offer.